Posted on February 20, 2019 · The question of whether pay parity for firefighters is constitutional is still working its way through the courts. But some city council members are anxious to avoid the appearance that they’re thwarting the will of the voters. Posted on January 31, 2019 · Houston City Council’s Budget and Fiscal Affairs Committee are proposing nearly 20 ideas for how the city can pay for voter-mandated firefighter raises. Posted on December 28, 2018 · Mayor Sylvester Turner’s ongoing fight with the Houston firefighters union risks alienating many of the voters who supported him in 2015. 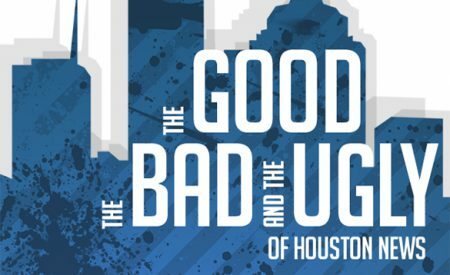 Posted on December 19, 2018 · As Houston City Council wrestles with tough spending choices, some members are using Mayor Sylvester Turner’s own warnings of an imminent fiscal crisis against him to make their point. Posted on October 15, 2018 · Houston firefighters’ pay has lagged that of police for nearly two decades. Proposition B would close the gap, but other city priorities would suffer. Posted on October 10, 2018 · Mayor Sylvester Turner says he plans to overhaul the department even if Proposition B fails. The firefighters’ union is threatening legal action. Posted on September 6, 2018 · Mayor Sylvester Turner says the ballot initiative would blow a hole in the city’s budget. The union representing Houston’s firefighters says it’s a matter of equity. Posted on July 17, 2017 · The HPFFA has turned in more than 30,000 signatures to the City Secretary.